A couple months ago I took a baking class at The Institute of Culinary Education (ICE) at 50 West 23rd Street in New York City (Amazing class! I would recommend any of the classes offered at ICE. Check them out at ICE Culinary ). The class was called “The Best Brownie Workshop” and was a collection of Nick Malgieri’s brownie recipes. 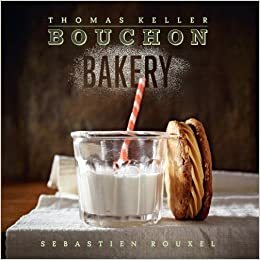 Nick Malgieri is the former Executive Pastry Chef at Windows on the World and just recently came out with a new book called BAKE! Essential Techniques for Perfect Baking. 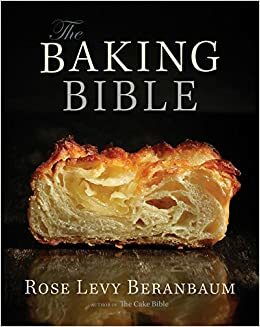 He was voted one of the ten best pastry chefs in America by Chocolatier and Pastry Art and Design magazines in 1998 and 1999, and he is the director the baking program at ICE. Check him out at Nick Malgieri. There are several different ways to melt chocolate, but for this recipe we are going to do it in a saucepan with butter. In a medium saucepan melt 2 sticks of butter over medium heat. To make things easier and faster, cut the butter into tablespoon sized portions. Once the butter is melted, take it off the heat and add the chocolate. Let it stand for 2 minutes, then whisk the mixture until its smooth and looks like a dark chocolate sauce. ** If you notice as you’re whisking that all the chocolate has not melted, return the pan to the stove on very low heat and stir constantly until the chocolate melts. Chocolate is a bit temperamental and can burn rather quickly so make sure to take it off the heat the minute it’s melted. In a large bowl, whisk together the eggs, salt and vanilla, just until its mixed. Then whisk in the sugar in a stream. This is where the mixture starts to thicken up! Finally whisk in the chocolate and butter mixture. Now, switch to a rubber spatula and fold in the flour. ** Fold technique: The reason the flour is folded into this recipe rather than just mixed is to keep the air inside. This is what creates the volume in cakes and brownies. To fold in the flour, add 1/4 cup of flour at a time and make horizontal sweeping motions, like you’re folding what’s already in the bowl over the flour that you’ve added. Everytime I do one sweeping motion I rotate the bowl slightly so that I’m folding from different angles and making sure I haven’t missed any of the flour. Make sure to scrape down the sides of the bowl as well. 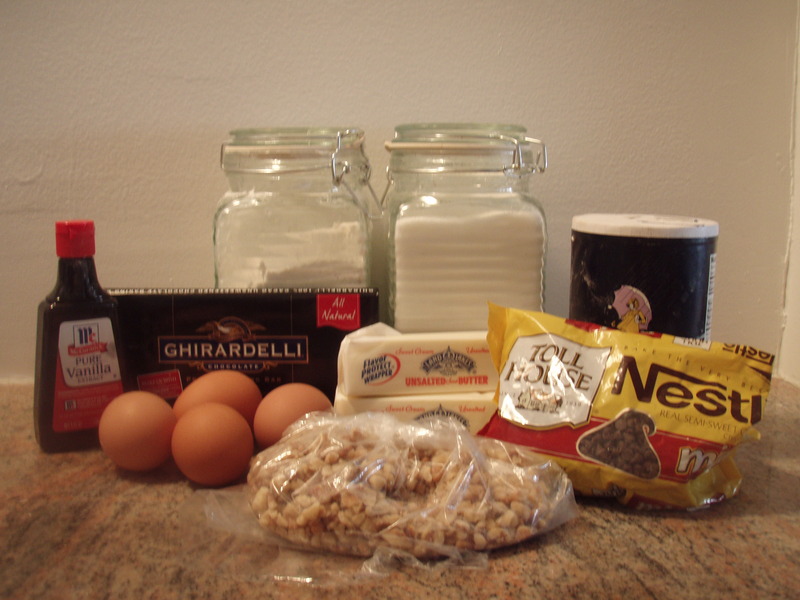 Careful: One of the biggest mistakes people (including myself sometimes) make when it comes to brownies is over mixing. The batter might still be warm from the melted butter and chocolate, so set it aside until it has cooled to room temperature (test it with your fingertip). Once its cooled, fold in the chocolate chips and nuts. Again, we don’t want to lose any of the air that we’ve worked so hard to keep in there this whole time! 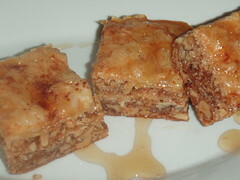 The batter will be very thick, so scrape it into the prepared pan and smooth to the edges and into the corners with an offset or rubber spatula. The trick to this is keeping a fluid, smooth motion rather than just pushing and shoving the batter to where it’s supposed to be. 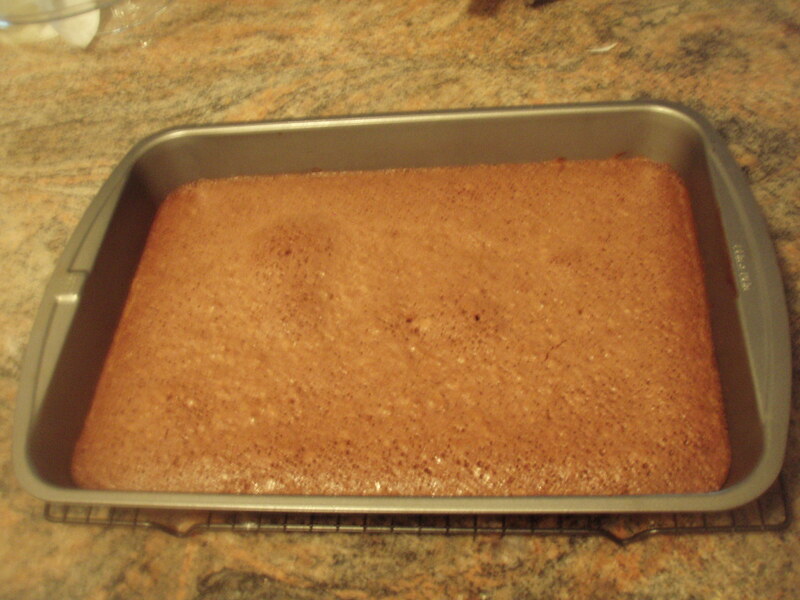 Bake the brownies for about 30 to 35 minutes or until a toothpick or small knife inserted in the center emerges clean. Rotate the pan in the oven half way through. 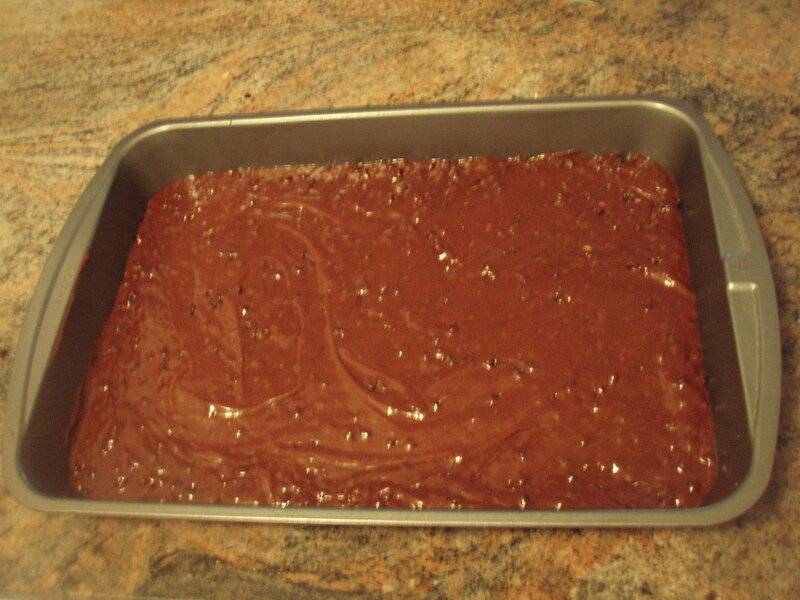 Let the brownies cool completely on a rack. This will take roughly 1-2 hours. Then wrap and refrigerate the pan so that the brownies solidify, roughly 4 hours, but you can leave it in the fridge overnight. This makes the brownies easier to cut. Once cold, transfer the whole brownie to a cutting board and slide a long knife or spatula under it to loosen the paper or foil, then pull it away. 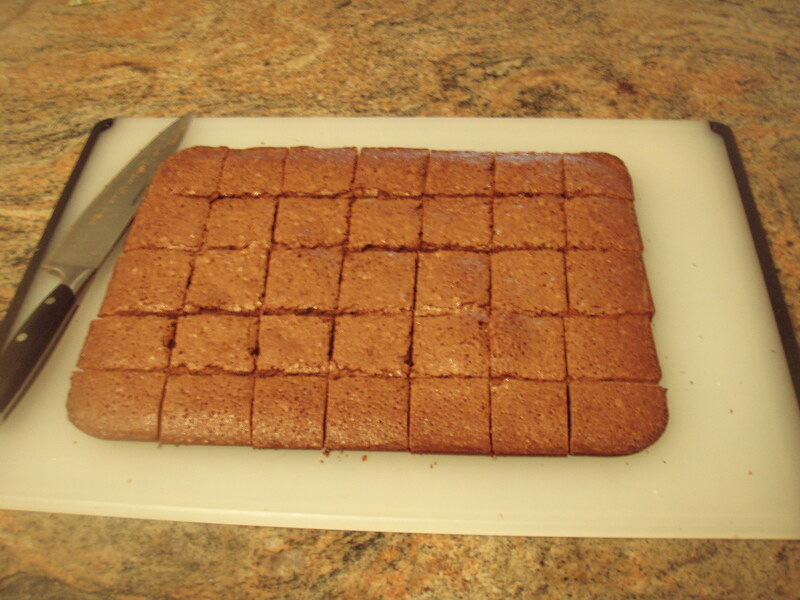 Use a ruler to mark, and then cut the brownies into 2-inch squares. *Side Note: I bought a new baking book today: All Cakes Considered by Melissa Gray. So check back for some delicious cakes to come soon!! Kristin thanks for making our dreary and drab office come to life with your wonderful confections. Im a brownie and cupcake girl myself but your pretzels and cakes are great! Please keep bringing them in. I am proud to be your guinea pig!